Durong Dingo Sanctuary  where pure dingoes are kept safe! 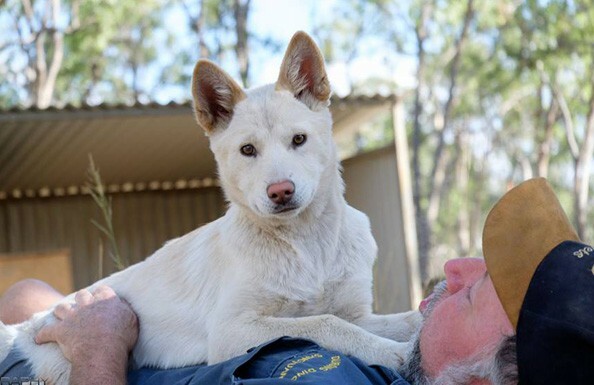 Durong Dingo Sanctuary began in 2008 when Mike Noble from Rochedale, Queensland approached Simon Stretton to have his 5 dingoes relocated to Simon's farm for a short period of time while Mike relocated his premises. Mike owned the only Dingo Educational Centre in Queensland at the time. Simon and Mike then had to approach Biosecurity Qld for permission and the required permits to do this. Six months later Mike Noble could not relocate to a suitable property, so Simon Stretton then asked Biosecurity for the dingoes to be transferred to him permanently. Hence Durong Dingo Sanctuary was officially started. Since then the mission of the sanctuary has been to save and preserve all types of dingo and then educate the public about the pivotal role the dingo plays in our fragile ecosystem as it is the top order predator and facilitates in keeping in balance the lives of all wildlife. The sanctuary has had a number of volunteers to help in the areas of maintenance, construction of new enclosures, raising money and donations. They are always looking for more volunteers. Durong Dingo Sanctuary caters to schools, groups and tours as well as the general public wishing to learn more about Australia's 'iconic native animal'. The sanctuary is open 9am to 5pm all days except Friday, when they are open by appointment only. Admission to the Durong Dingo Sanctuary is by generous donation. Simon and the dingoes look forward to welcoming you to Durong Dingo Sanctuary and eagerly anticipate interacting with you and helping you learn about how dingoes are not your enemies, but your friends. 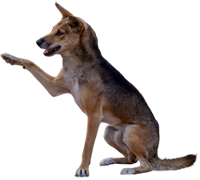 To learn more about how you can volunteer, donate or sponsor a dingo, please click here! Please visit our little store. Your generousity helps keep us fed and cared for. Thank you! gifts for yourself or a loved one!